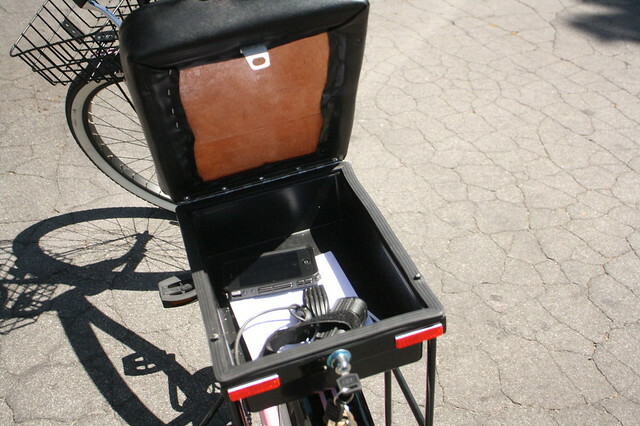 Earlier in the spring we got a chance to test out something called the Companion Bike Seat. 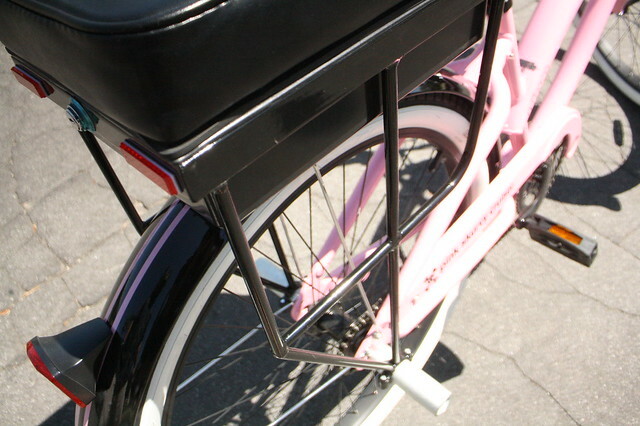 Basically, this product gets installed on your bike much like any pannier rack would. The difference is you can actually carry a passenger (up to 200lbs). In addition, it has a lockable storage area to place anything you want that could fit in there. 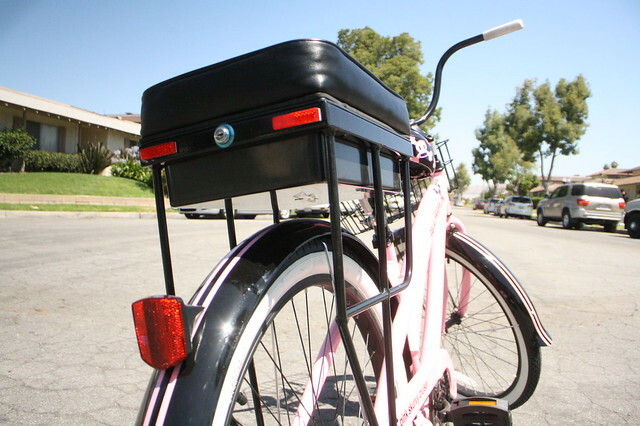 The only bike in my collection that I was able to install the Companion on was my wife’s Nirve beach cruiser. Installation was a breeze; no more than 15 minutes using basic tools such as a socket set and allen keys. What you see below allows the rack to be secured onto the seat post. You can fully adjust the pitch of the seat. If the bike was bigger or the post was further away, you can adjust this strut to ensure a proper fit. Reflectors on the rear of the seat. You can see from this angle the lock for the trunk. Heavy duty constructions allows for a 200lb passenger. Notice the pegs? That’s where the passenger places their feet and they are what the rack mounts onto. The rack itself has a wide stance, which means that it mounts somewhat wide onto the pegs. This makes the seat stable especially when you’re turning or if you’ve got a heavier passenger. One of the tests we did was to see if it would flex/sway when taking sharp turns. When riding through sharp turns with an adult male on the back, the rack didn’t sway/flex. If anything it’s the passenger who ends up getting nearly tossed off the seat. Just keep in your mind that this rack is pretty burly and VERY stable. Lockable storage trunk. Perfect for food, electronic devices, cigars and donuts. The first one would be that you can’t use it with a quick release wheel. It has to be installed on a bolted axle. This means it won’t work with a Nexus hub or any other type of internally geared hub that has a shifting mechanism on the other side of the dropout. Another complaint would be the inability to hang panniers. Sure you can place things in the storage trunk, but what if you’re picking up your kids from school and they have books to carry or if you’re doing a groceries run? It would be great to see their future models have some sort of mounting/hook system that gives that option. Bike Seat is capable of carrying 200lbs. If you think about the alternatives in the bike world in regards of being able to carry 200lbs, you’d have to spend quite a bit of money for a cargo bike or something like the Xtracycle. I’ve owned cargo bikes and an Xtracycle before. They’re great and all, but they’re big and bulky. Yes I do realize that the Companion doesn’t have the same load capacity of an Xtracycle, but I used mine to carry my kids about 90% of the time that I owned it. So with that in mind, having a product that costs a fraction of the price of a cargo bike, but gives you the ability to carry a passenger would be a WIN WIN in my book. Just think about it, $149.95 isn’t much. With this simple product you can now carry your kids, go on a date with the wife/girlfriend or go bar hopping (you as the designated driver). 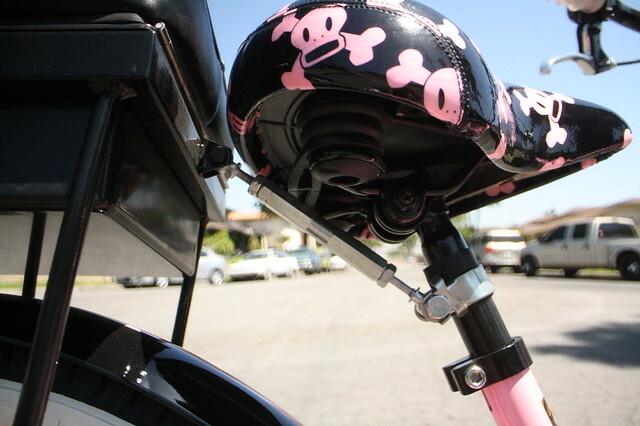 For more information about the Companion Bike Seat, please visit their site.